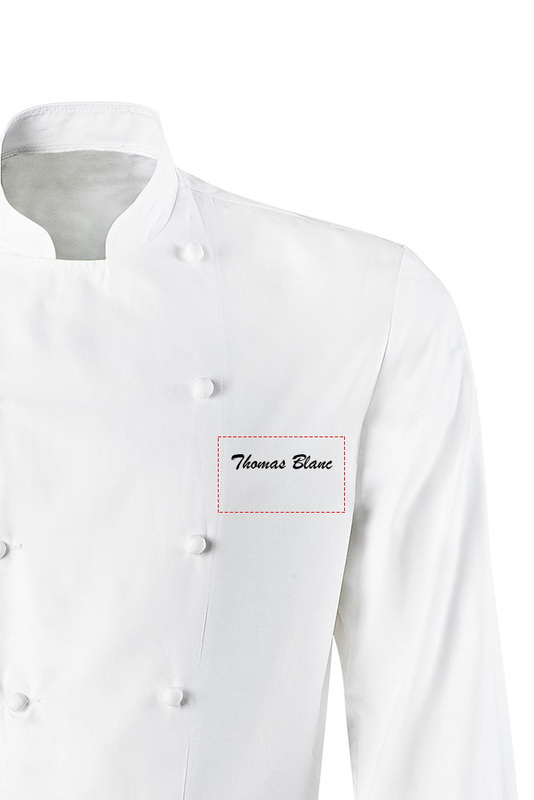 Chef's jacket. Terry cloth inside collar for comfort. Concealed front fastening press studs. 1 chest pocket. Long sleeves convertible to short sleeves. 1 pen pocket on left sleeve. Cutting armholes with anti-perspirant COOLMAX® fabric. Registered design.